Stop! It’s rumor time. 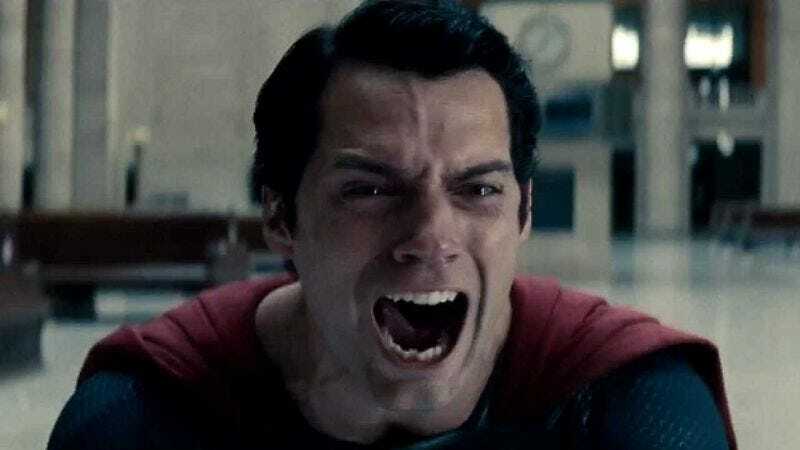 Late last week, those of us who enjoy good movies got excited when it was reported that Mad Max: Fury Road director George Miller might be gearing up to direct Man Of Steel 2. Not only did it seem a fitting reward for a man who gave the world this summer’s best action film, but it finally made right the director having his Justice League movie snaked out from under him. We attended our weekend cookouts and church potlucks with ease, knowing the fate of Earth’s mightiest display of an S that’s not an S was in the right hands. Now, it’s pretty clear no one has any idea what this means, including the person who used the phrase “permanent hold,” because unless you’re talking about a library book some wealthy patrons have forever set aside for themselves, it’s a bit of an oxymoron. Either the company has scrapped plans to make it, in which case it’s not on hold, it’s done (barring future inevitable reboots), or DC is waiting for some issue to be resolved before going forward, in which case it’s—stay with us now, because this is the complex part—on “hold.” It’s true that DC’s busy development slate over the next few years doesn’t seem to leave much room for producing another massive Superman flick (Batman V Superman and Suicide Squad in 2016, Wonder Woman and Justice League Part One in 2017, etc. ), but it’s doubtful DC will just forget about it, especially if Batman V Superman: Dawn Of Justice does as well as everybody seems to think it will. Now that the studio reportedly wants Ben Affleck to stick around for the long haul, it‘s anyone’s guess how this will affect the eventual status of Henry Cavill’s flying good guy. This could all change once the reviews and box office returns come in next year. Remember how jazzed everyone involved with Man Of Steel was about that film prior to its release? So do we. Next time on It’s Rumor Time: Why every prior rumor before the latest one has been wrong.